There are reasons Zebra label systems and Zebra labels are such popular choices when choosing barcode labeling systems and supplies. It is because they have been proven reliable and efficient time and time again in a variety of applications. Not only are they dependable, but they are an effective way to track pricing, inventory and prevent losses. A wide variety of labeling products. Our team of software developers and engineers can help design a system that will be most effective for your situation. They can even setup your system for you on-site and train staff on its use. It simply couldn’t be easier! TSBS started by serving customers in the New York, New Jersey and Pennsylvania Tri-State region. Our commitment to world-class service and products has helped us to expand, not only nationally, but worldwide! We continue to serve our customers with quality products and responsive service. With TSBS, you get rapid response times, with our team being available 24/7 in emergencies. Our knowledgeable team can help you select the system perfect for you or even introduce you to new products to make your organization more efficient and effective. Are you ready to see the difference diligence, professionalism and pride makes in a supplier? 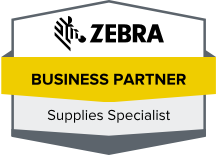 We invite you to try us at TSBS when you need Zebra labels or any barcode supplies. 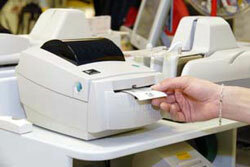 If you are in search of pricing on a new barcode system, contact us and let us give you a quote. We don’t think you’ll be disappointed. We look forward to helping your business take advantage of barcode technology.